We can all agree that Ovio is the most popular restaurant when it comes to breakfast. They recently updated the whole menu, including the breakfast section and things were a bit of a letdown. 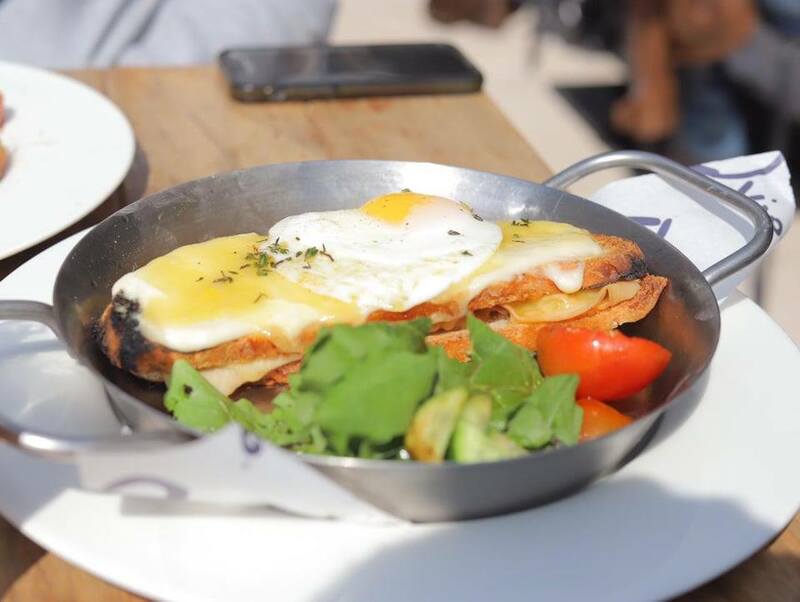 We opted for the Greek Tweaked Shakshouka (89LE), Croque Ovio (98 LE), and Savory Parmesan French Toast (89 LE). 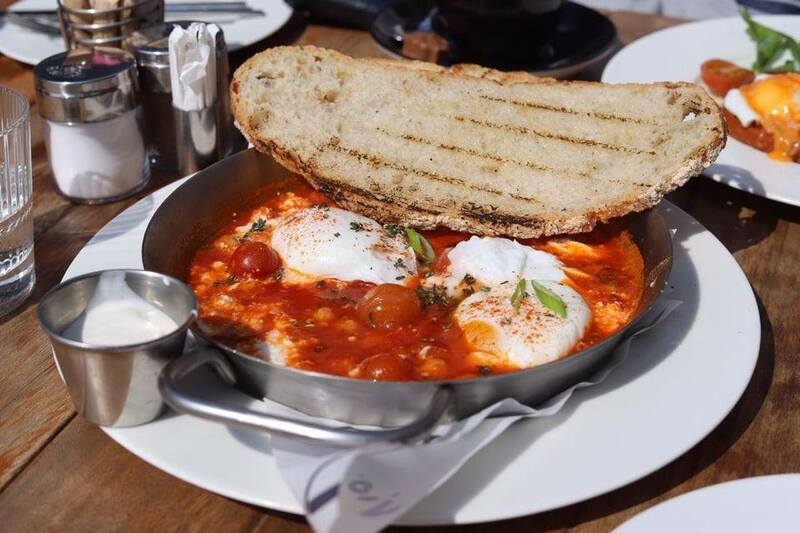 Starting with the shakshouka, it looked like a regular shakshouka -only way prettier- but it was actually topped with poached eggs, chickpeas, and feta cheese, and served with toasted bread and tzatziki sauce. The only thing that was properly made was the poached eggs. Other than that, the tomato sauce was extremely watery which made it super bland and inedible, and the tzatziki sauce was basically plain yogurt without any cucumber, mint, and garlic. As for Croque Ovio, it was our favourite part of the meal. The dish consisted of a smoked turkey, emmental, and Parmesan cheese sandwich, topped with melted mozzarella, bechamel sauce which wasn’t mentioned on the menu even though it’s a key component of the dish, fried egg, and a beautiful sprinkle of thyme that completed this delicious masterpiece. 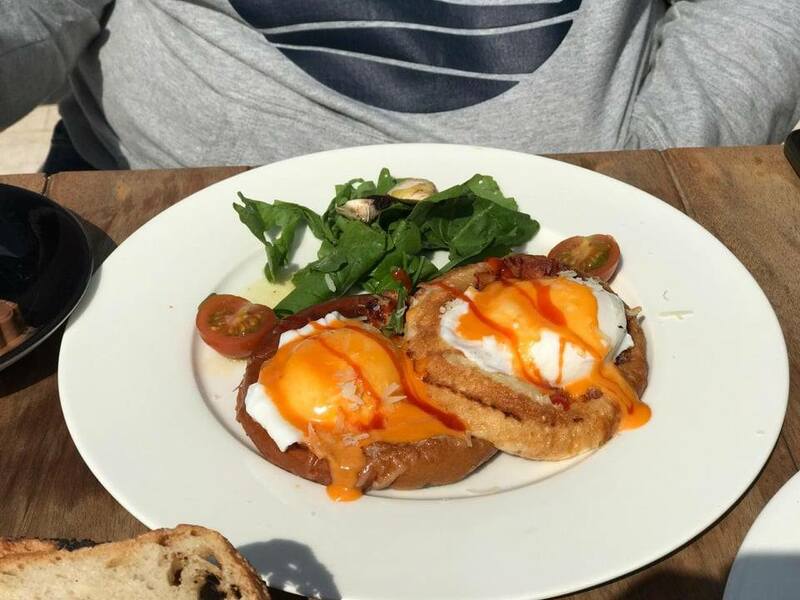 We mean, the cheese was melted perfectly, the bread was toasted to perfection, the fried egg was well prepared, and the amount of bechamel sauce was on point. Moving to the savoury French toast, it was another letdown. We were super excited to try this one because how could you go wrong with parmesan crusted french toast, topped with poached eggs and sriracha hollandaise! Sadly, the french toasted was EXTREMELY soggy and mushy and ruined the whole dish. It’s such a shame cause we can imagine the super sharp and salty flavours of the parmesan going so well with the sweet and spicy sriracha hollandaise. We finished our meal with an Oh La La Cronut (75 LE) for dessert. These cronuts also suffered the same fate as savoury french toast. It was overly soaked and lacked the crispy outer crust. 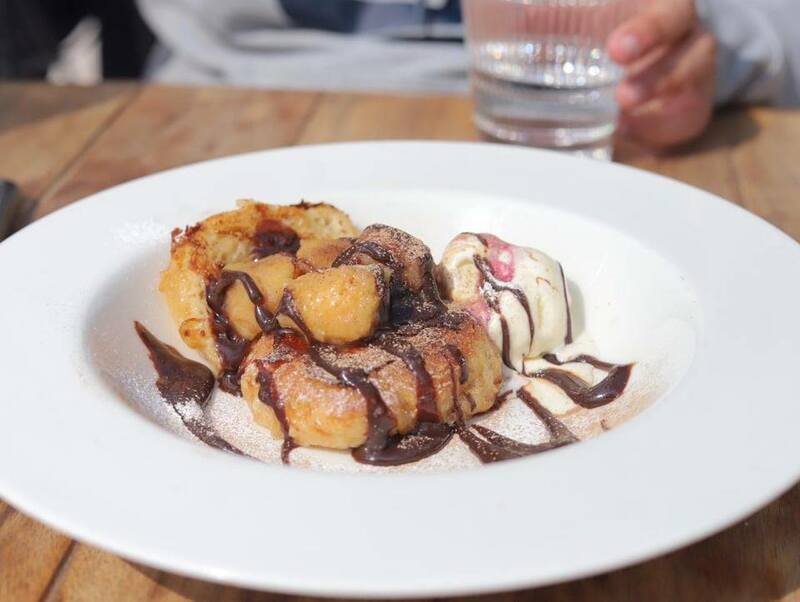 The cronuts were topped with not-so-caramelised bananas and not-so-Nutella sauce, and a scoop of ice cream on the side. Overall, we felt our experience was a letdown. On paper, everything sounded drool-worthy and we expected a 5/5 review, but 3 out of the 4 dishes we ordered were poorly executed and had fatal mistakes that ruined the whole thing. Try to avoid going on weekends, as it can get super crowded, making for poor service and mediocre food. The Croque Ovio was great. That Greek Shakshouka was inedible.